If you thought 3a burritos were the end all be all of Mexican food, then you are WRONG AGAIN (man, you're bad at this), because Western Addition Latin food palace La Urbana is flipping the script and then re-flipping the script on what you think good Mexican is, all while plying you with one of the largest mescal selections in the world, nay, the San Francisco area! 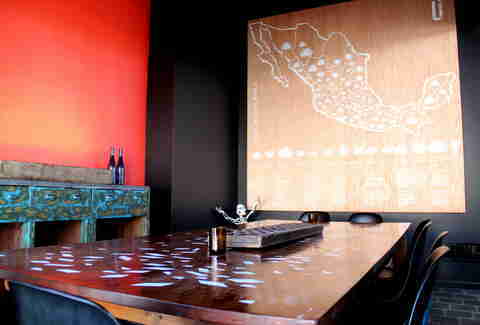 What will become the mescaleria in coming months, this room with a wooden map of all the different agave bushes in Mexico is currently semi-private dining with a tinted glass wall between you and the silly plebeians dining publicly. This is a model from Mexico City (ooo la la!) 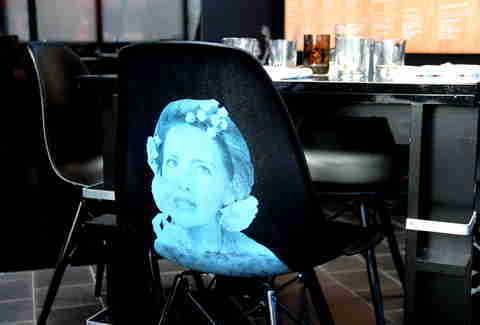 and the face of La Urbana... on your seat. 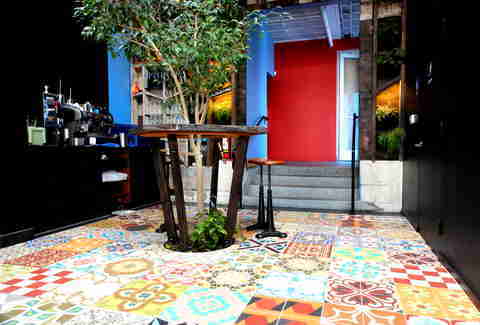 The area to the right of the bar is less of a lounge and more of an indoor "outdoor" patio with imported Mexican tiles, a tree (? 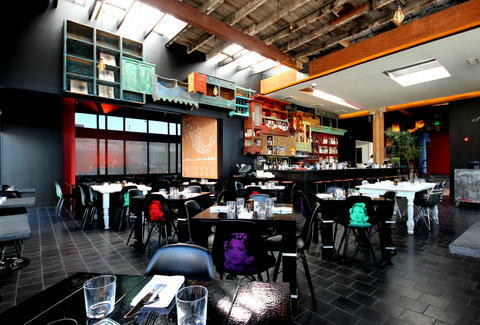 ), and woodwork that seriously makes you feel like you're in a courtyard (not the Marriott kind, though... sorry). 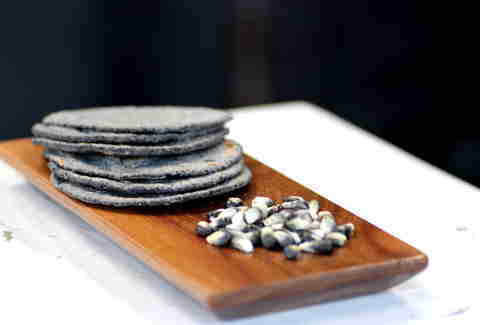 They grind their own corn with an imported mill to make these incredible blue corn tortillas that you can enjoy alongside their mains like the Tierra y Mar (which's Spanish for Surf and Turf, gringo), which consists of delicious ribeye and Dungeness crab with pineapple puree. 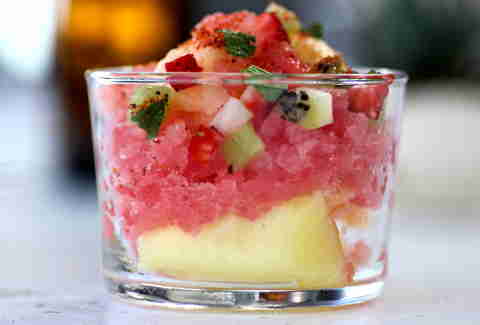 ... this watermelon granita with melon sorbet. You're gonna be all over these guac-accompanied chicharrones, which're made out of... 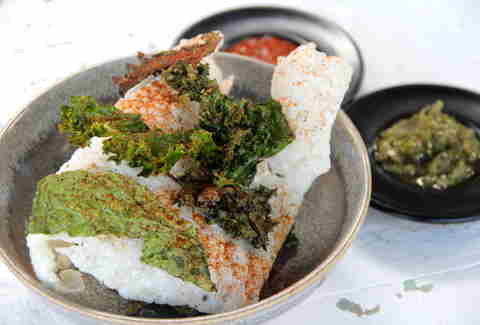 rice?! Shhh, don't tell anyone it's just as delicious as pig skin. 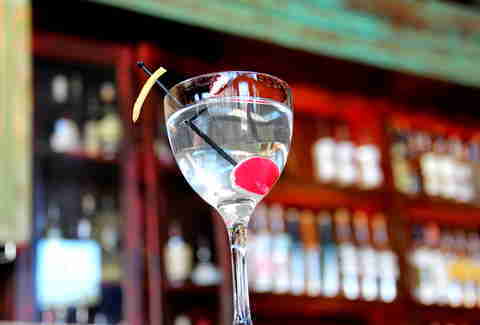 The Acapulco-Manila is a their mescal-y take on the dry martini, inspired by the route between those two cities, as opposed to the San Francisco-LA, which is something you do not want, because, holy cow. 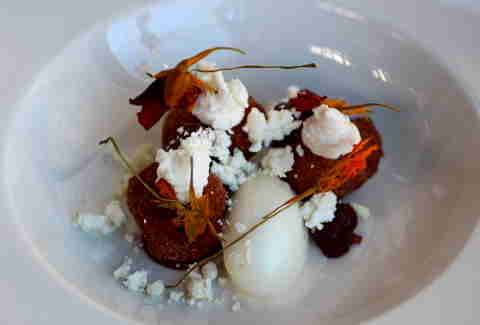 And don't miss this Manhattan Federal. 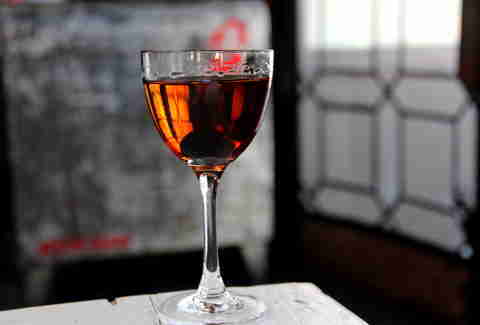 Their version has rye, Graham's 10yr Tawny Port, triple-smoked chipotle-mescal tincture, and the totally pronounceable Xocolatl mole bitters.